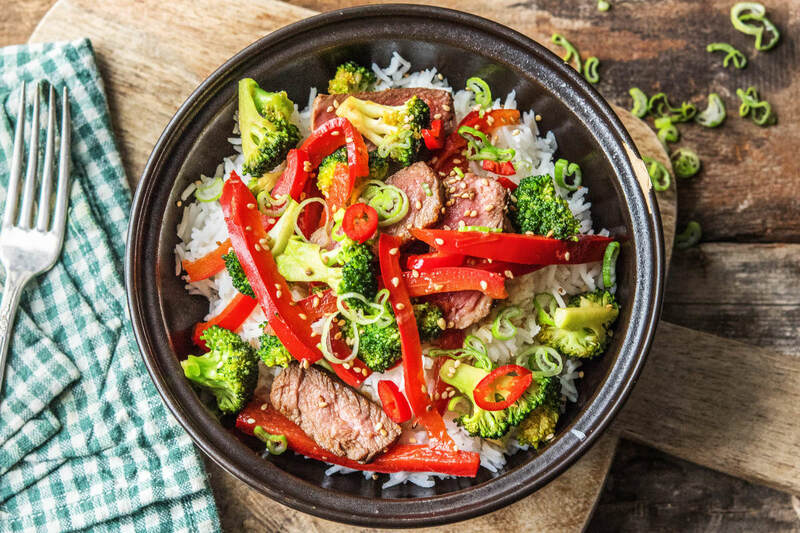 This easy weeknight bowl is full of delicious bits that take only moments to cook, retaining all the nutritional value and getting dinner on the table faster for you. It’s a win win! Peel and crush the garlic. Peel and finely grate the ginger. In a large shallow dish combine the garlic, ginger, salt-reduced soy sauce, honey and warm water (for marinade). 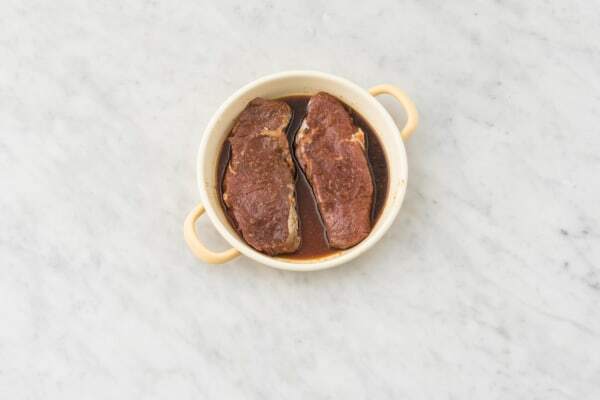 Place the beef rump steaks into the shallow dish and toss to coat. Set aside to marinate for at least 10 minutes. While the steak is marinating, rinse the Jasmine rice. 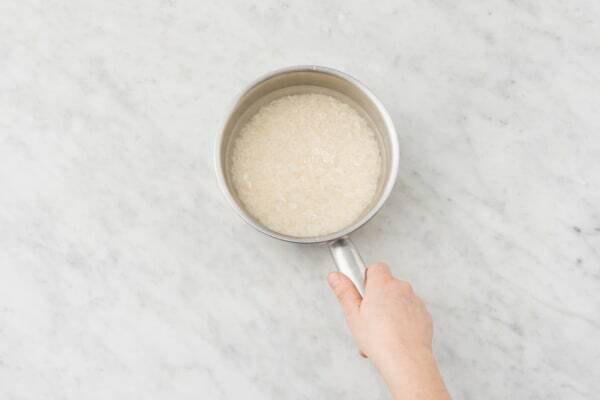 Place the rice and the water (for rice) in a medium saucepan and bring to the boil over a medium-high heat. Simmer, uncovered, for 10-12 minutes, or until the rice is tender. Drain and set aside. Finely slice the red capsicum. 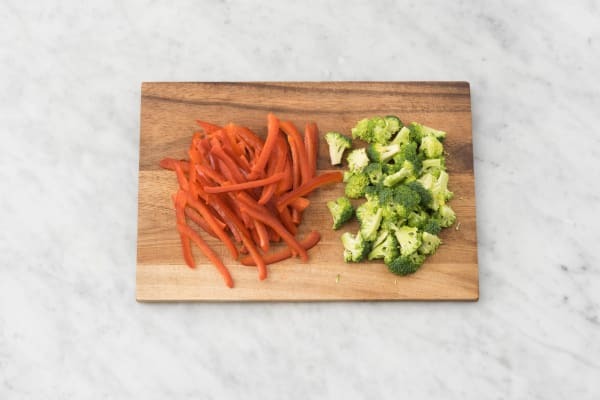 Chop the broccoli into very small florets. Finely slice the spring onion. Finely slice the long red chilli (if using).DTIP: Remove the seeds from the chilli if you don't like heat. Heat a dash of olive oil in large frying pan over a high heat. Add the beef rump steaks (drain any excess marinade and reserve for later) and cook for 2-3 minutes on each side for medium-rare, or until cooked to your liking. Cooking times may vary depending on the thickness of your steak. Transfer to a plate and cover with foil. Set aside to rest for 5 minutes. Slice into 5 mm thick slices. Make sure your pan is super-hot before adding the steak as high heat will seal in the surface, trapping in all the juices! 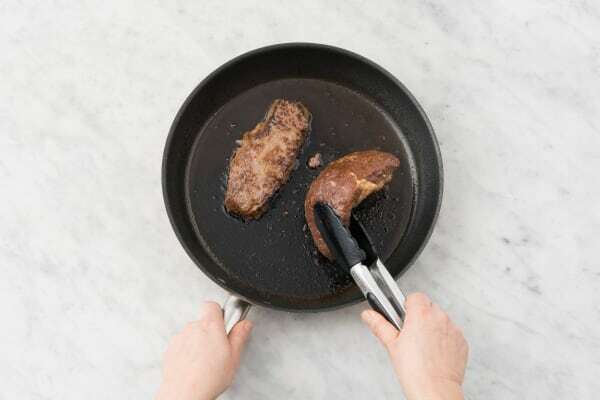 To test if your steak is done, press the centre with the back of your tongs. The steak will feel a little soft if it’s rare, slightly firmer if it’s medium and very firm if it’s well done. While the beef is resting, return the same pan to a medium-high heat. 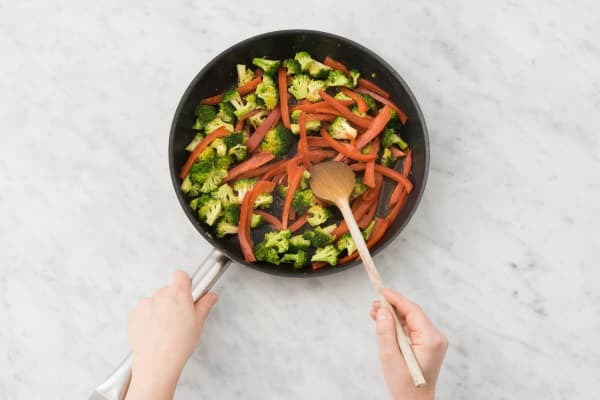 Add the olive oil, red capsicum, broccoli and water (for veggies) and cook for 5 minutes, or until softened. Add the reserved marinade. Bring the mixture to the boil (boiling the marinade will ensure there is no raw meat juices left). Gently toss through the sliced beef rump and cook for 1 minute, or until warmed through. Remove from the heat. 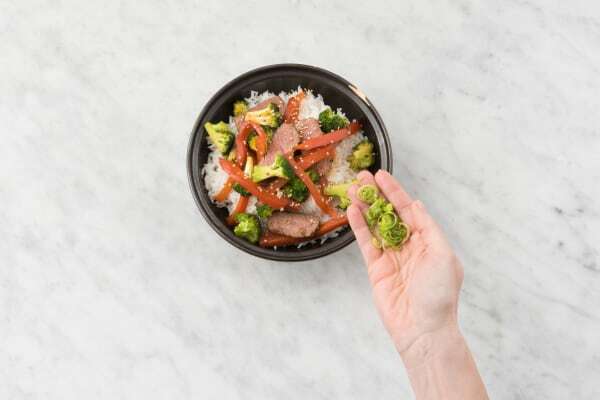 Divide the Jasmine rice between bowls. Top with the warm teriyaki beef, vegetables and sauce. Sprinkle with spring onion and sesame seeds. Garnish the adults portion with long red chilli (if using). Enjoy!